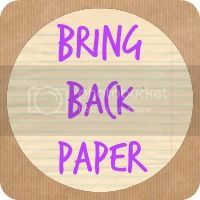 Share the post "Bring Back Paper in 2016"
I started #BringBackPaper back in April 2014, though it really doesn’t seem that long ago. You can read my original papery post here on why I wanted to start this feature. As we begin a new year, I’ve been giving some thought as to what do with the series this year. The #BringBackPaper hash tag is always in use and will remain, so do feel free to share and link up with the community by adding that to any social media chit chat. People use it often on Instagram, so if you want to snap books, stationery, snail mail, colouring etc. there, just add the tag so we can all find you and ogle your paper! Every Sunday, I always share a stationery photo over there with the #SundayStationery tag, so feel free to join in and share whenever you feel like it. I will continue to highlight, review and share papery wares and stores with you here. I was fortunate to work with so many wonderful brands and people last year, and it’s always exciting to showcase business’ products and throw in the odd competition along the way for you, too. Last year saw me run several stationery and book swaps, with plenty of people taking part so I know that you like doing those and I’ll therefore run them again. I also put together papery Instagram prompts for a couple of months of the year, with several of you joining in, and as I can never resist a papery snap, I’ll set those up once or twice again in 2016. I toyed with stopping running Papery Peep as a monthly linky as it had gone pretty quiet by the end of 2015. A few of you have been in touch wanting to join in with that this year, and as I like writing that post each month anyway, I will continue to run it as a linky, and even if just one person joins in, it’s going to be a little papery treat for me to peep at each month, isn’t it?! As before, Papery Peep will run on the last Wednesday of every month, and the linky will remain open for one week. You can share absolutely any paper posts that you want to, whether they be books read, new stationery treats, old favourite notebooks, planner stashes, beautiful bookshops or libraries visited, bookshelves, colouring books – whatever you want it to be, as long as it’s papery, come share. We also had a Twitter party last summer which I thoroughly enjoyed with plenty of people joining in and talking books and stationery, so I’ll get another of those planned in for this year, too – I am already looking forward to it. I’ll launch any activities for the month on the first Wednesday of the month, so watch this space for those. And then as I did last year with ReadWriteCreate, I wanted to bring something fresh to Bring Back Paper for 2016. So this year, I’d like to introduce you to the #BringBackPaper Pledge. Ooh, what’s this she’s come up with now, I hear you mutter! It’s very straightforward, I’m simply asking that you take a moment to consider what you’d like to do this year, whether it be a new undertaking, an increase or simply keeping on with something, all within the realm of Bring Back Paper. The type of things that may be worth including…. A personal reading challenge. It could be a number of books of read, new genres tried, a classics challenge or discovering a new author. Building in a certain amount of time or a regular period each week/month to get something papery done. Using paper to record special moments. For example, I keep a one line a day journal, which I love, and birthday books for the kids, which I write in on the evening of their birthdays each year. Trying something new. Perhaps Smashbooking, keeping a book journal, using a planner or if you like the idea of a little old fashioned letter writing, do check out my post on getting started with snail mail with tips and pointers. To read 4 books per month (I’ve looked back on last year and I read 72, so whilst this isn’t as much, it will be a challenge with my uni studies on top, and will keep my reading habit ticking over whilst I do that). I want to use Sunday evening’s for completing my planner for the week, including meal planning, so it’ll be keeping me on track and it’s a chance to use pretty pens and stickers! In addition, I want to sit down and relax with some colouring regularly, something that I barely made time for in 2015 yet I know it relaxes me, and I want to keep on top of my snail mailing. I currently have 8 lovely ladies that I write to regularly, and it’s a pleasure sitting down to write and then hearing all of their news. I also, and this one pains me to say it, want to actually use and start depleting my stationery supplies. I have a fair old stash here, and it might be said that I acquire more at a greater rate than I use it (same could probably be said of books, but I cannot commit to depleting those, too! ), so I will endeavour to use it up, slowly but surely. I like the word ‘pledge’ as it seems to add a solemn commitment and levity to proceedings, don’t you think? Nice to have it running alongside such frivolities as colouring-in! But for me, these types of activities are my relaxation, my ‘me-time’ so I will commit to them as I know I need to take time out like this. How about you? Would you like 2016 to bring more paper to your life, taking time out to slow up a little? If you’d like to join in and take a moment to consider what you’d like to do this year and then pledge, do let me know about it and keep me updated on progress. If you’re a blogger, share it that way, just grab my badge in the sidebar there and tweet me with your post so I can have a read and share it. It can of course be added to the Papery Peep linky, and you can share updates that way, too, if you want to. If you’re not a blogger, then record it on paper – hooray! I’d love to hear about it, so let me know here, or tweet me, Instagram your pledge or tell me over on Facebook. I am always, always, happy to talk paper with you! As always, I am open to suggestions for Bring Back Paper features, so feel free to comment here or tweet/email me with any ideas of things you’d like to see here and I’ll do my best! Oh, and one last thing, I’d be a fool to be talking paper with you and not share a Christmas gift that I’m absolutely loving – my aunt knows me well! Hoping some of you will join me and #BringBackPaper this year. I love bring back paper! I am so sorry that I didn’t get more involved towards the end of last year- my PhD needed to be handed in and I started a new job, it all got a bit much! Sounds a good pledge and an easy way to keep track of it. Best of luck! Ah, it’ll be lovely to have you joining in ? I’m forever trying to reduce paper in my life. I’ve worked in IT for about 20 years and it’s been drummed into me I think. I love reading your posts on all things paper love though so will look out with interest!